Most rose species originate in Asia, and have been cultivated for thousands of years. Already in 570BC, the Greek botanist, Theophrastus, wrote about the rose as the 'hundred-petalled flower', whilst Cleopatra is said to have drenched the sails of her royal barge in rose water and layered the floors of her palace one metre deep with scented rose petals. Mark Antony did not stand a chance! Time and time again and in poll after poll, the rose is revealed as the nation's favourite flower. 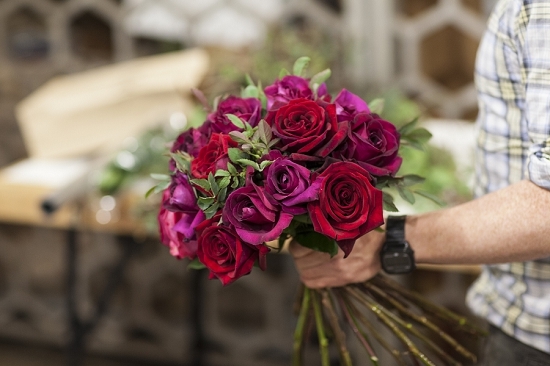 And whilst the majority of cut flower roses are bred for super-long vase life and to be ultra-straight, tall stems with strong flower buds, garden roses are literally a breed apart. What we know as garden roses are the characteristically full-petalled, blousy, large-headed blooms, which open to reveal many layers of delicate petals. They are blessed with the exquisite, intoxicating fragrances of Old Rose, Tea Rose, fruity, musk or myrrh – sometimes a delicious blend of more than one scent. Growing top quality garden roses in this country is no easy task, but the British-grown roses coming into Zest Flowers and used by Duncan McCabe for British Flowers Week are spectacular. 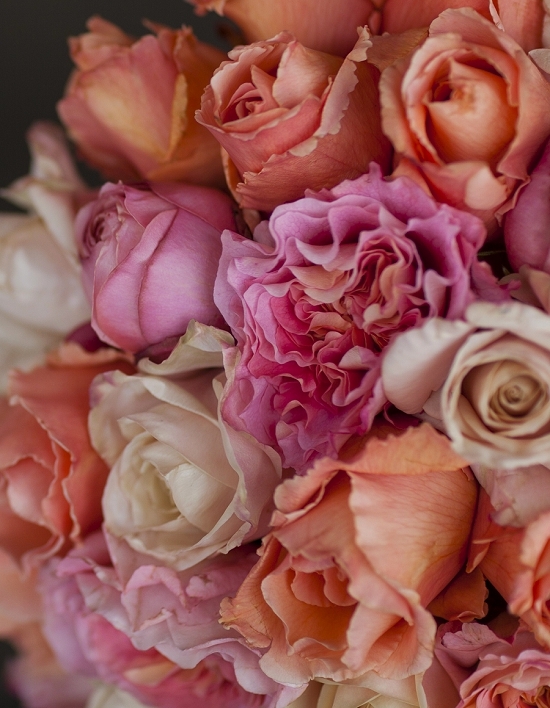 Highly sought after for weddings, events and bouquets, garden roses are the epitome of romance with their evocative fragrances and soft petalled forms. Every stage of a garden rose is beautiful from its tight coloured bud to the gradual unfurling of the petals to its fully open, multi-layered perfection. Their vase life is shorter than a standard rose and they don't much care for heat, as their petals are finer. 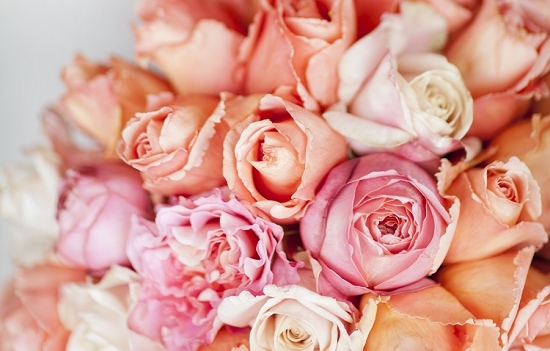 Garden roses are show-stopping for weddings, parties, corporate events, and gift bouquets. Says Graeme Diplock of Zest Flowers "Their vase life is shorter, but they definitely have that wow factor, and the scent is second to none!" Garden roses come into Zest Flowers for five beautiful months from May to September. They are sold in bunches of ten and grouped by colour and kept in buckets of water to ensure their freshness. Zest offer their customers a wide range of colour palettes, according to what is looking good on the grower's nursery. If a florist needs specific shades for a specific job, then Zest orders them in on the next delivery, which is generally on a Monday and either a Wednesday or a Thursday. A couple of days' notice is required. Graeme recommends buying on a Wednesday or Thursday to have open flowers for a Saturday job. "Once they're completely open, as you'd like them for an event, they don't last long," says Graeme. Garden roses are very delicate flowers and the petals bruise easily, so don't squeeze the flowerheads to check that they're fresh, whatever you do! 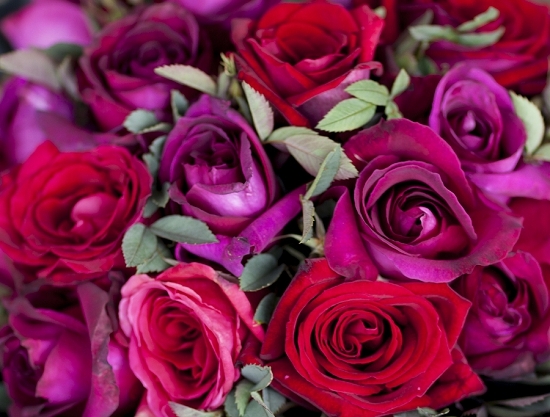 "The quality of these roses is always excellent," says Graeme. "They are cut and delivered to us in buckets of water the next day, so they really are as fresh as they can be." De-thorn the stems and remove all foliage lower down the stems to ensure that none is below the water line. Trim the stems and put them in water and don't let them dry out at any stage. Refresh the water every day, ideally. The vase life on a garden rose is around 5 days. The peak season for British-grown garden roses runs from May to September, depending on the spring weather. They are picked and delivered fresh into the Flower Market from the growers for the following morning's trading. You can simply purchase what's looking good, or pre-order for a set day's delivery.